Story somewhat predictable as expected. But the cast, soundscapes and high quality production made this an exciting tale. 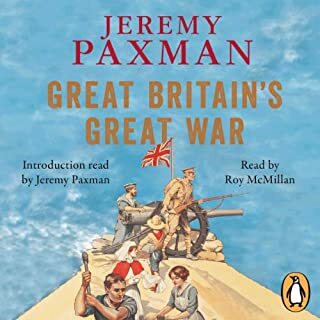 Penguin presents the unabridged, downloadable audiobook edition of Jeremy Paxman's Great Britain's Great War. Read by the actor Roy McMillan, this magnificent history of the First World War tells the story of the war in one gripping narrative from the point of view of the British people. We may think we know about it, but what was life really like for the British people during the First World War? In many respects, it's a.shame Paxman did not narrate his whole book. He performed the introduction only and I was impressed. The primary performer was OK but could've been a bit more engaging. The story was good and was not structured like a straightforward linear history lesson. 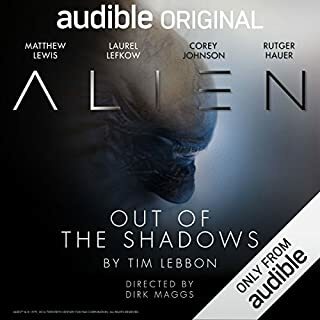 Finally, an excellent deal from Audible. WHAT A LOVEABLE VICTORIAN BOUNDER! 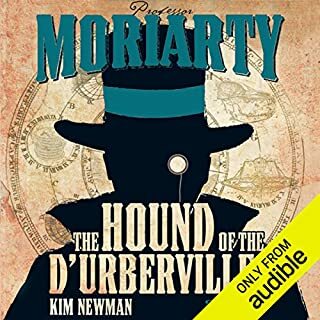 Would you consider the audio edition of Professor Moriarty: The Hound of the D'Urbervilles to be better than the print version? I've not yet read the print version of this book but the narration is really excellent and captures the devilish mood of the infamous Col. Moran, Moriarty's villainous sidekick. What other book might you compare Professor Moriarty: The Hound of the D'Urbervilles to, and why? The listener will obviously want to compare this performance with Sherlock Holmes but although the stories in the performance are wicked variations of Conan Doyle's Holmes cases, the great detective and his sidekick are only mentioned once or twice. The listener will enjoy all the stories in this performance but my favorite was the "Red Planet League", as it was very funny and pretty leftfield in places. Overall, I found the stories very funny but flavoured with suspense, some mild horror, dubious morals and sheer inventiveness. A bit like modern day politicians, I suppose! The happy marriage of an outstanding performance and creative and involving storyline, makes this a great and repeated listen. It is 1862, though not the 1862 it should be. Time has been altered, and Sir Richard Francis Burton, the king's agent, is one of the few people who know that the world is now careening along a very different course from that which Destiny intended. 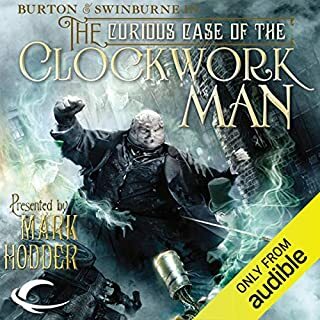 When a clockwork-powered man of brass is found abandoned in Trafalgar Square, Burton and his assistant, the wayward poet Algernon Swinburne, find themselves on the trail of the stolen Garnier Collection of black diamonds. Mark Hodder has a most fertile imagination and seamlessly blends Victorian fact and fiction. Gerald Doyle's narration is spot on and the listener is soon engrossed in the story. A must for people who enjoy an almost " Holmesian" blend of blurred realities with a cracking and pacey plot.